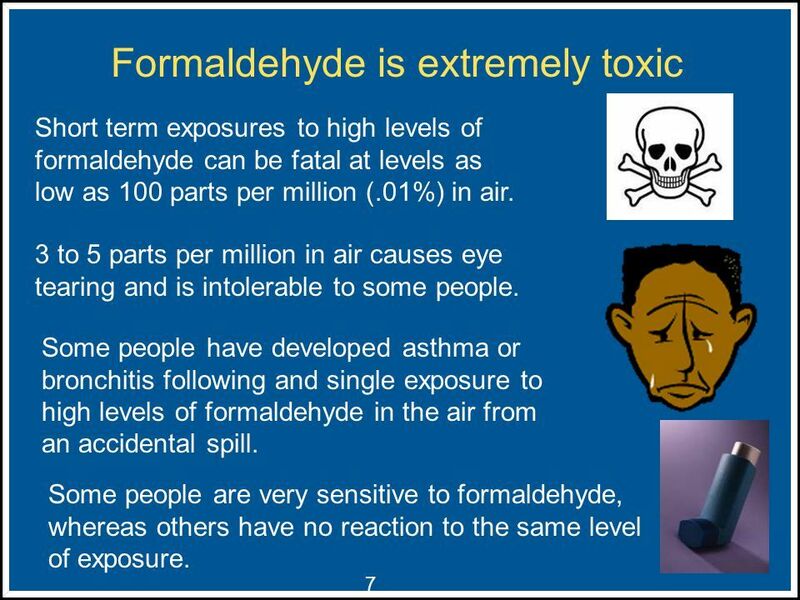 Your question about formaldehyde off-gassing takes me back many years to a time in the late 1980’s when we first started getting that question. As you found with your wife, many people cannot tolerate this off-gassing even for a short time—especially those with asthma or lung disease; and it is considered a health risk for everyone--whether your system can tolerate it or not. The big problem with an RV is that many materials used in the building process contain formaldehyde or similar chemical in the group of chemicals called volatile organic compounds or VOCs for short. 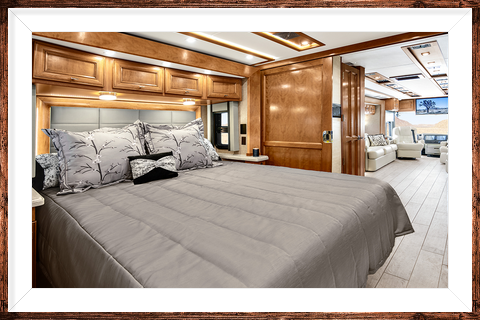 In RVs we have found them in the varnish and paints, upholstery, interior wallboard, and quite often in materials used in cabinets such as particle board. 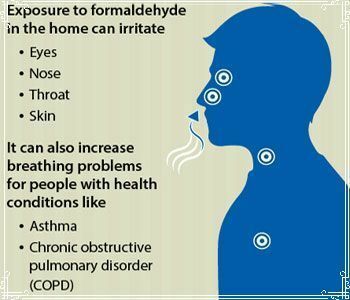 And, of course, tobacco smoke in small homes such as an RV is a major problem in controlling formaldehyde. Because the only way to get rid of VOCs is by lots of airing the RV on hot days, it can be a major problem in the fall and winter months in the Northeast, Northwest, Mountain, or Central states. But, not surprisingly, the length of time required for airing can vary greatly because a number of products, as mentioned, can be the culprit. And since the chemicals are not banned and are only limited in some states, the problem is not going away and is difficult to monitor. Those us who have bought used RVs that have not had interior alterations rarely get involved with formaldehyde because they have been well aired by the original owner. There are so many good used RVs around that this can be an excellent alternative to worrying about formaldehyde or other VOCs. I know that you are desperate, Keith, and as you mentioned, it will be difficult to replace the motor home or sell it at a big loss. An option is monitoring yourself by using a VOC test kits, (specifically formaldehyde). This will tell you if your motor home is in the range between 20 and 40 parts per billion. Some agencies say that .03 parts per million is a tolerable average for formaldehyde. If it’s above this range, you’ll need to do something.